The Kubernetes community has announced the release of Kubernetes 1.8, which comes with many new features. Kubernetes, an implementation of the Borg system that Google runs internally to power its own clusters, has become one of the hottest open source projects and the de facto container management and orchestration tool. This release is as much about the code as it is about technology. According to Kubernetes, "In addition to functional improvements, we're increasing project-wide focus on maturing process, formalizing architecture, and strengthening Kubernetes' governance model." One of the highlights of this release is graduating role-based access control (RBAC) to a stable stage. RBAC allows admins to restrict system access to authorized users, adding another layer of security. In Kubernetes, RBAC allows cluster administrators to define roles dynamically to enforce access policies through the Kubernetes API. This release also comes with a beta support for filtering outbound traffic through network policies augmenting existing support for filtering inbound traffic to a pod. These two new features offer admins powerful tools for enforcing organizational and regulatory security requirements within Kubernetes. Kubernetes 1.8 is available for download on GitHub (https://github.com/kubernetes/kubernetes/blob/master/CHANGELOG.md#v180). Canonical has announced the release of the final beta of Ubuntu 17.10, code named Artful Aardvark. With this release, Ubuntu code names have gone back to the beginning of the English alphabet, which is apt, because with this release, Ubuntu is kind of starting fresh. Canonical dropped its desktop ambitions earlier this year, signaling the shutdown of efforts like Unity. This is the first release of Ubuntu that comes with Gnome as the official and default desktop environment and shell. However, Canonical has ensured that people upgrading from the previous release of Ubuntu running Unity 7 will not be in for a shock. Ubuntu developers have worked on adding some custom features and functionalities so established workflows are not overly affected. Will Cooke, Director of Ubuntu Desktop at Canonical said, "… we've spent time making sure that the people who having been using Unity 7 for years don't have to change their workflow too much. The most obvious example of this is the Ubuntu Dock (based on Dash To Dock and developed upstream)." Ubuntu is also adopting Wayland as the default display server for the desktop, depending on the hardware. However, users can switch between Wayland and Xorg. Beyond these cosmetic changes to help existing Ubuntu users, Canonical is sticking to default Gnome settings and features. Some of the new features include the newly designed Gnome Settings. Ubuntu 17.10 brings support for all driverless printers, which means no need to install drivers. Canonical has also discontinued its own Ubuntu Store, and it now defaults to Gnome software, which also allows it to update the system itself. With this release, you can also move away from distro-specific RPM and DEB packages and use bundled Snap packages. Unfortunately, the rest of the desktop Linux world is rallying behind Flatpak, so it will be interesting to see if Canonical drops Snaps on the desktop and adopts Flatpak. You can download the beta from the official Ubuntu page (http://releases.ubuntu.com/17.10/). Last week at the Open Source Summit, Linus Torvalds sent an open invitation to security hackers and attackers to join the Linux kernel community. Torvalds is not a huge fan of the "security community" because he doesn't see the issues in black and white. He maintains that bugs are part of the software development process and they cannot be avoided, no matter how hard you try: "constant absolute security does not exist, even if we do a perfect job," said Torvalds in a conversation with Jim Zemlin, the executive director of the Linux Foundation. In a previous conversation with us, Torvalds said there are way too many people out there who continue to search for bugs and holes in software to attack. Torvalds is fascinated by how smart some of these security hackers are. They always find something, in a very clever way, somewhere that no one thought could have been a security hole. 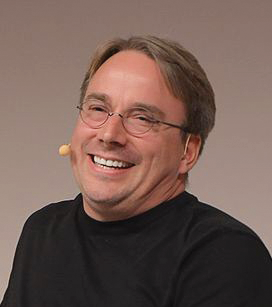 "As a technical person, I'm always very impressed by some of the people who are attacking our code," Torvalds said. "I get the feeling that these smart people are doing really bad things … I wish they were on our side because they are so smart, and they could help us." Torvalds said that the kernel community would be in much better shape if they could get as many of those smart people before turning to the dark side. He wanted them to help improve the code instead of attacking it. "I'm encouraging the people who are interested in security to come to us instead of attacking us," said Torvalds.